Address: Right embankment, 75 Beliashvili St. This fine-dining restaurant of 120 guests with its enchanting interior and thrilling jazz & blues melodies performed live on violin and grand piano every evening from 8 p.m. is very convenient for your business dinners, friendly or romantic evenings. The lunch menu is offered as well. Gentle tones of decor and white leather arm-chairs create completely relieving environment. The experienced sommelier assists you to choose proper wine on your selected dish. All these definitely make you spend wonderful time. 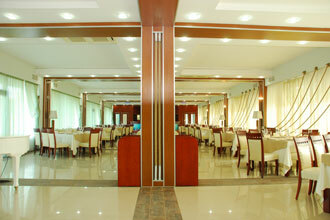 The restaurant where the high service is provided,astonishes youwith its wonderful delicatessen of European cuisine. The hais open from 12:00 a.m. until last guest leaves.